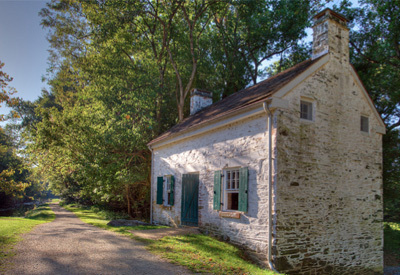 This restored lockhouse is available for rent from the C&O Canal Trust. Lockhouse 22 at Pennyfield reflects the early phase of canal construction, because of its lift lock and proximity to Dam 2 and its guard lock. Lockhouse 49 Four Locks near Clear Spring, Md.